We appreciate you stopping by and visiting the Brother's Carpet & Flooring website. 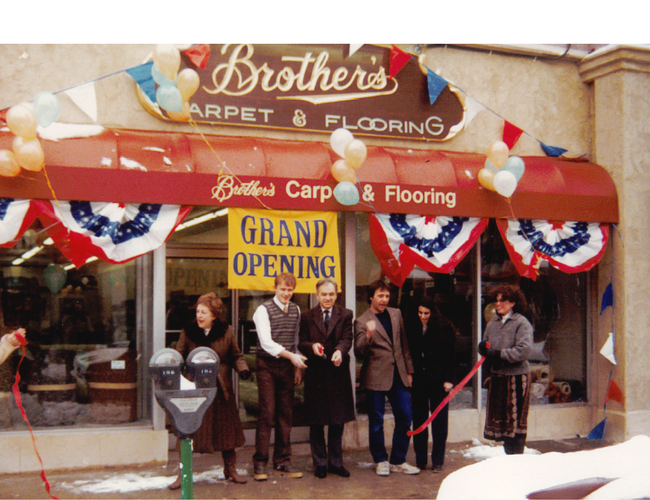 George Venarchik and Stephen Mandaro started Brother's Carpet & Flooring in 1982. Both men had experience in the service industry and joined forces that year on a large commercial project that turned out very well. Encouraged by our initial efforts as partners, we decided to start a full-service carpet cleaning, carpet and vinyl installation business. From our modest beginnings in Bergen County we are pleased to report that by 1999 we had become one of the premier suppliers of carpet and flooring in all of New Jersey. Put simply, our motto always was simply "whatever it takes" to furnish quality material with a professional on-time installation, to provide after-installation care and maintenance, to be there as a trusted source of information and education... "Whatever it takes". Perhaps one of our customers put it best, "I'll never go anywhere else! Thanks for a job well done!" Nothing makes us prouder or happier than knowing that we not only beat the competition but that we did it better. Our firm expanded into the wood floor installation business 22 years ago. We provide homeowners and builders with the highest quality wood floor products and installation. As a matter of fact, in our area, we were the highest volume dealer of Bruce wood floors three years running! Our showroom has a tremendous selection of hardwood products in many attractive designs. We have brought the same expertise and selection to our ceramic and stone division. Offering many natural stone and ceramic samples in our showroom, we are able to serve the homeowner and the builder with solid and stylish flooring selections. We've kept abreast of all the exciting innovations in floor material from custom vinyl, laminates, and the newest styles and textures in broadloom carpet. Come check out our new water-proof Invincible Plank! Our goal has been the same for the last 35 years, that is to provide the finest quality and service every time on every job. We have professionals on staff that can speak English and Spanish, that would be able to assist you.